I met Trevor one year out from our wedding. My then fiancé (now husband) had met him and said he had found us a Wedding planner perfect for us. When Trevor came over to our house I knew right away he was it! We hired him on the spot and from that day forward it was smooth sailing. We cannot begin to say how fun and enjoyable it was to plan our wedding and that was a big part thanks to Trevor. He was so well organized, took initiative and was always 5 steps ahead of me. Not an easy task with me being Type A. He always listened to our ideas and with his guidance helped us plan a wedding way beyond what we could have ever imagined. Our wedding day was the best day of our lives. Everything ran perfectly and we could not have done it without Trevor. We got so many compliments from our guests on how helpful he was and how everything was perfection. All the vendors he recommended were also incredible. They are truly the best in the business and care so much about making your wedding the best it can be. Trevor holds such a special place to both my husband and I. We have so much gratitude for all his support and dedication. Trevor is an incredible wedding planner. We had the privilege of having him for the month and day off. Best investment and purchase my wife Erin and I made throughout the whole wedding process. Trevor is a charming, friendly , great communicator, professional, organized , detailed , and a good extension to the groom to somewhat be able to have his say ( With his fashion sense he was able to away my wife to go with the blue shoes I wanted instead of the black she thought look good with it. ;) To all the guys reading this he is the right guy for the job to keep you and the bridal party calm and relaxed that all you have to do is simply take in the gorgeous moment . He goes above and beyond what you expect him to do. All vendors we had used loved him and complimented his services and wanted his business. Our bridal party and guests loved him so much that they all wanted him to be a part of the whole evening. There's nothing but high praise for his service so if you want a smooth , enjoyable , fun , and memorable wedding I highly recommend you use him. Thank you again for everything and making sure our wedding was a wedding of lifetime. We booked Trevor for the whole wedding process, which was a year before our wedding. We had him for the year and he was worth every penny. I would not change anything about the way Trevor handled our wedding. He was professional, organized and I could of not done it without him throughout the wedding process and especially on the day of. Everyone at my wedding commented on how organized my wedding was and how it ran on schedule perfectly. Trevor made sure everything ran on schedule and provided us with a detailed itinerary, which he followed right up to the last detail. Trevor and his team were extremely calm and professional throughout the entire day... I have no complaints at all. I can only praise the great work they did. To sum it up, Hiring Trevor was the best decision we made and all of our family and friends told us how great he was in putting together our dream wedding. He was great with our family and friends, provided us with the best vendors and overall was a joy to work with. On October 21, 2017 I married the woman of my dreams. It was an unforgettable night and could not have gone more smoothly. I want to take this moment to commend the work of our amazing, organized and reliable wedding planner, Trevor Frankfort. He worked tirelessly to give Ally the dream wedding she always wanted. With every wedding comes small, unforeseen problems but Trevor was always on top of everything. My bride did NOT have a meltdown at any point of the day and this was because of Trevor’s relentless work behind the scenes. Trevor was the best money we spent during this whole wedding experience. To be honest, he could have charged us double or triple and he still would have been worth every penny. I cannot thank him enough. Trevor is organized, determined, motivated, reliable, relatable... and handsome as hell! What a night! Thank you Trevor! Trevor was amazing! We had been looking for about a month at venues in Toronto and had not been able to find somewhere unique that was affordable to us. We finally called Trevor and he helped us get all the details pinned down quickly! We did go over budget, but he always warned us if we were booking something that would push us over. He also gave us plenty of options for all the vendors at various price points to show us a range of services out there. The day of the wedding we weren't stressed at all as we knew Trevor would take care of everything (which he did)! Everyone raved about our wedding and we are so happy he was there to help us through it. We hired Trevor as our month-of coordinator and it was the one of the smartest decisions we made; we could not recommend Trevor highly enough! He is extremely organized, responsive, creative, and has a ton of great recommendations that most couples would not have considered. Trevor ensured that our wedding day went off according to schedule, smoothly, and without a hitch. Best of all, Trevor is incredibly fun, humorous and easy to get along with. So many of our guests and members of our wedding party remarked to us about how fantastic he was. We just loved having him play a major role in our wedding day! Thank you for helping to make my dream day a reality! Trevor was the lynchpin to our wedding! My husband and I approached him in August 2016 because we felt overwhelmed at planning a 280+ person wedding. Trevor handled everything with grace, humour, exceptional organization skills and attention to detail. He helped us select incredible vendors. He was always there for us to handle any problems that arose. He brought calm and clarity when we had questions and concerns. He is professional while being so personable and friendly. On our wedding day in July 2017, he and his assistants made the party run smoothly thanks to his leadership and direction. Our families and friends had a great time, and my husband and I had the best day of our lives, all thanks to Trevor! Trevor is amazing, by far the best decision we made!!!!!! The wedding planning process was a lot more work than we originally thought. From the time we started working together we felt an immediate relieve of pressure, he was extremely outgoing and on top of everything that needed to be done making sure every last detail was done to perfection. Trevor’s presence is very caring, full of positive energy and we felt he genuinely cared about the day going smoothly as much as we did. During the month of coordination and day of the wedding Trevor was beyond helpful in assisting me with make decisions and giving me great suggestions. Trevor is extremely organized and is a joy to be around he made the wedding planning experience so much fun instead of it being stressful. I received so many compliments from our family and friends on how wonderful and helpful he was throughout the whole day. The only thing I would change if I could do it all over again is hire Trevor from the beginning!!! He was an absolute pleasure to work with and without a doubt exceeded our expectations. Thank you so much Trevor for EVERYTHING!!! Trevor is an exceptionally talented person who brought our fairy tale wedding to life. I cannot find words in my vocabulary to describe how incredible Trevor is. He ensured every bit of detail was taken care of during the wedding month and wedding day. 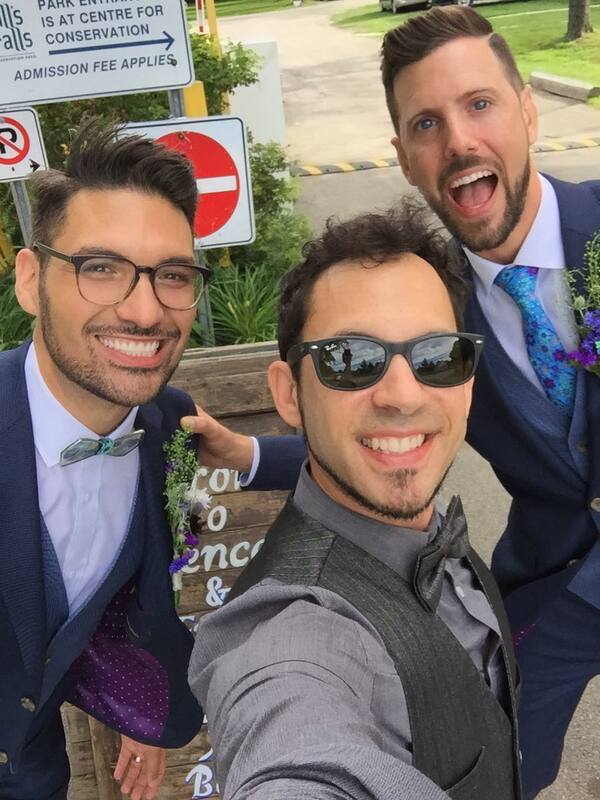 My husband and I were BEYOND RELIEVED to have Trevor as our wedding month coordinator. Since our wedding comprised of a mix of Indian and Canadian culture, Trevor ensured our culture was experienced by each and everyone on the wedding, including himself. He invested time to gain knowledge of our culture and made sure all the cultural traditions went smooth on the wedding day. I HAVE NEVER HAD THE OPPORTUNITY TO COLLABORATE WITH AN EXTRAORDINARY INDIVIDUAL WHO WAS SO INVOLVED IN EVERYTHING DURING THE WEDDING MONTH. We also received positive feedback from our other wedding vendors who spoke highly of Trevor. Overall, I strongly emphasize that Trevor will ensure that you have the best wedding day of your life. I'm not sure I can even find the words to express my gratitude toward Trevor. From the get-go, he made us feel at ease and comfortable. His interest in our relationship and vision for our wedding was genuine; he listened to us every step of the way. While he didn't officially start with us until the month before the wedding, he checked in periodically in the months leading up to his start, making sure we were feeling good and excited. Once he started, he managed to make us feel like we were his top priority and his only wedding (though I know he had plenty going on) - he was attentive, responsive, communicative, and flexible - all with a sincere smile on his face. As the 5th of 6 girls in my family to get married, my family is no stranger to planning a wedding. In addition, I come from a blended family with four very involved parents. Trevor managed the opinions, feelings, and dynamics of every single family member with ease and grace, and that, above anything else, is a true testament to his value. The day itself was flawless and smooth, and every single member of my family as has attributed it to Trevor's skill, personality, and professionalism. He was not just on the ball, he obviously owned the ball, and followed his detailed itinerary to a tee. He was present but not intrusive and kept everyone organized and calm. I cannot recommend him enough, and I will continue to sing his praises to anyone who will listen to me (and probably even to those who won't). Trevor is an absolute pleasure to work with. He brings a positive and humorous attitude to every conversation that cuts through nerves and stress and really makes you excited for your big day. Not only that, but his communication to our caterers, other vendors, MC’s, wedding party, etc.. eased their nerves and allowed them to feel comfortable, which translated into a flawless day. He was by far the best money we spent on the wedding. We are already recommending him to all of our friends that are engaged or are beginning to think of tying the knot, and we recommend him to you too! Trevor was a delight to work with. I expected help in relieving some of the wedding month stress, but I was simply blown away by Trevor's work. Not only was Trevor a delight to work with, he was extremely flexible and on top of things I hadn't even thought of. It is one thing for a happy groom to sing his praises, but on the day prior to and the day of the wedding, each and every one of my vendors had nothing but good things to say about Trevor - "Extremely professional". "very easy to work with", "detailed far beyond what we typically see". We did not want a typical wedding, and Trevor helped with so many ideas along the way. I walked into our venue and was blown away. Trevor helped make our wedding wonderful for our guests but more importantly, he ensured we had a wonderful time too. I would highly, HIGHLY recommend him.